Elizzabeth Hope: My Spring/Summer Fashion! Hello Everyone! 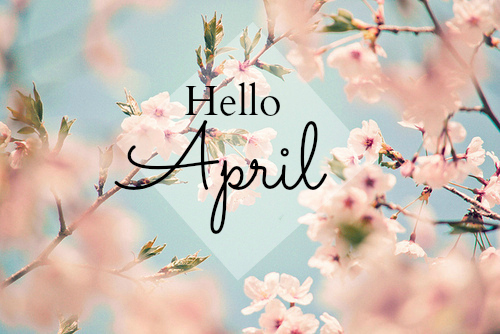 Well, April is here! and it couldn't have come faster. I feel like it was just yesterday that I came back from winter break and spring break! So crazy how fast time can go by. Makes you think twice about not saying hello to someone or really going for something you want to do. Never take life for granted! And now for todays topic! Spring/Summer Fashion! In this case my spring/summer fashion because even though I love trends I don't always follow them. I like to skip to my own beat sometimes. During spring I love to wear maxi dresses and very flowy clothes. As you will see here in this post! I found all these pictures on tumblr or pinterest because I'm obsessed with both websites! Basically this is what I would wear if I could take things off the internet and put them into my closet! 1. High waisted shorts are trending right now I do have to say! My friend and floormate/next door neighbor Gabby wears them all the time! She defiantly inspired me to get them! I do have a pair from Urban Outfitters and a pair from the Kendall and Kylie line from Pac Sun that I got the other week. Now I just need to find shorts! I saw this shirt and love when how it has cutouts! Style this outfit with round sunglasses and converse, your all set for spring into summer!!! 2. Here we go again with the high-waisted shorts! But this time it's styled very simply. 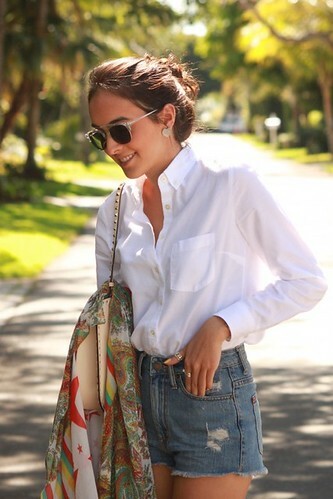 Nothing better then a plain white shirt and a shoulder bag. The scarf was also a very nice touch to the look to bring in a print so the look isn't so plain. 3. I can't tell you how much I love the styling of this look! The belt around the cape into the actual belt loops is maj! Mix the look with another flowy top and denim shorts and your set! 5 and 6! Maxi dresses for dayz! I'm obsessed. Especially with the one on the left! Super cute! I'm defiantly going to try to make it over summer! The green maxi shirt is so spring! Tying the tank top for an extra added touch to the look is a nice way to change the look over the day! 7. This look looks like something a modern day princess would wear on a day out to the town in my opinion. The glitter, the crop top and the ballerina skirt is perfect for a day out with the girls! Well, I hope you like my spring/summer looks! I'm so happy for the nice weather to finally come! Well I'm going to finish watching Brides Maids with my friends! Don't forget to tell me what your favorite summer looks are?! Nice blog,dear! :) I really enjoyed this post! thanks for the sweet comments.. I love look seven! I would totally wear it and I agree it looks like something that a modern day princess would wear.